Available now in-stores and online, the duo kits are luminous miracle powders that add the most beautiful glow to skin making you go from drab to fab with a swirl of the brush. 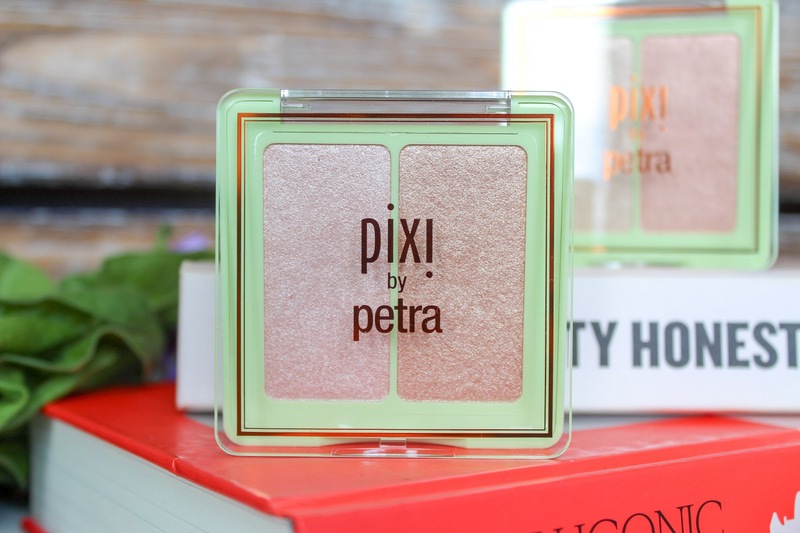 The super soft powders are housed within a slim compact in Pixi's signature green. There's no mirror in the compacts, but to be honest you won't need one as you won't be having to reapply this beauty. Taking your chosen brush, just swirl in the pan and buff onto skin. The creamy texture feels nothing like a powder and sits like a cream. It looks incredibly natural and gives a healthy glow to your complexion. 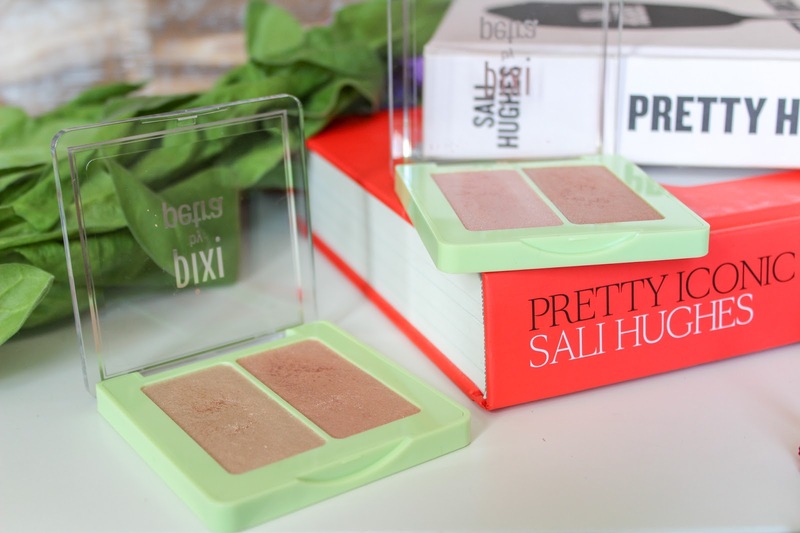 It's ideal for cheek and brow bones so the natural light can hit your best bits effortlessly. There are two shades to choose from, Subtle Sunrise and Delicate Dew. They both look really similar in the pan but there is a difference, I promise you! Subtle Sunrise has a soft champagne pink and subtle gold where as Delicate Dew is a tad darker with a vanilla champagne and a peach pink gold. 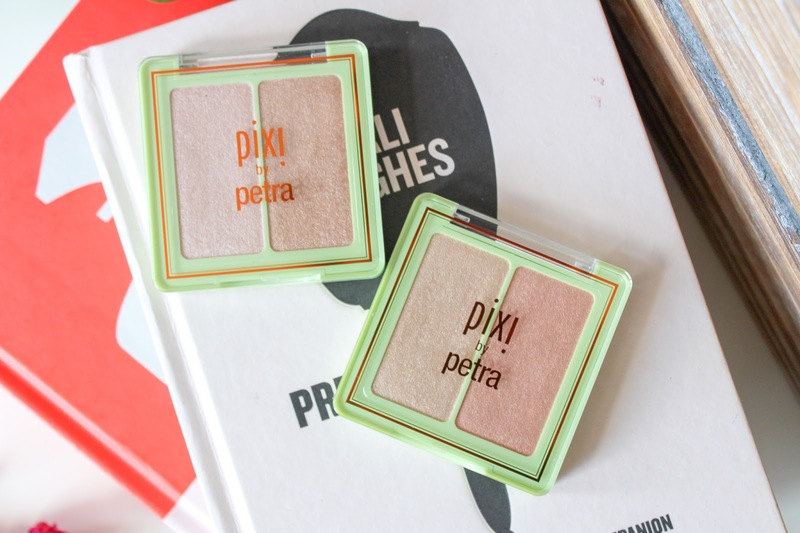 They retail at £20.00 each which is quite steep in price but the highlighters are out of this world and you get a really generous amount of product in each pan. It's a big win from me and my oh so glowing cheek bones! You'll see me coming for miles wearing Subtle Sunrise. They look so cute! I would like to try Delicate Dew. they are SO nice, I have been loving pixi so much recently, they are so pretty! They’re so beautiful! I love the colours. 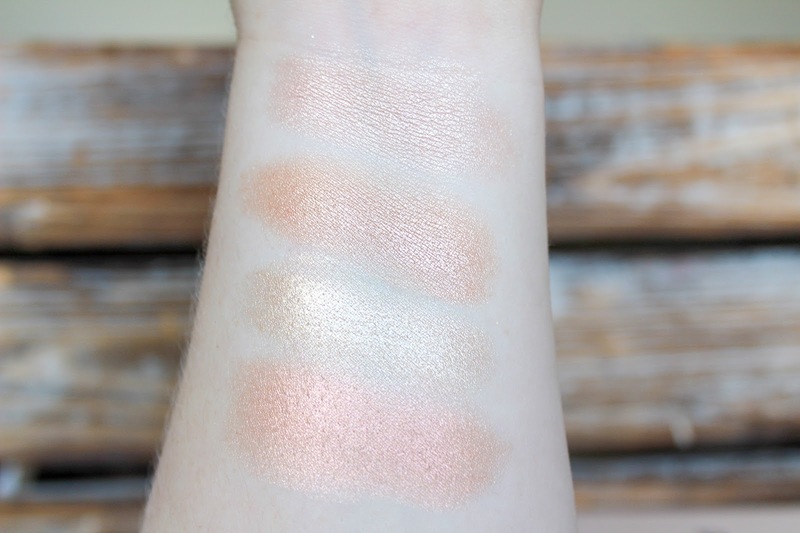 The swatches are stunning. that glow though! blinding! 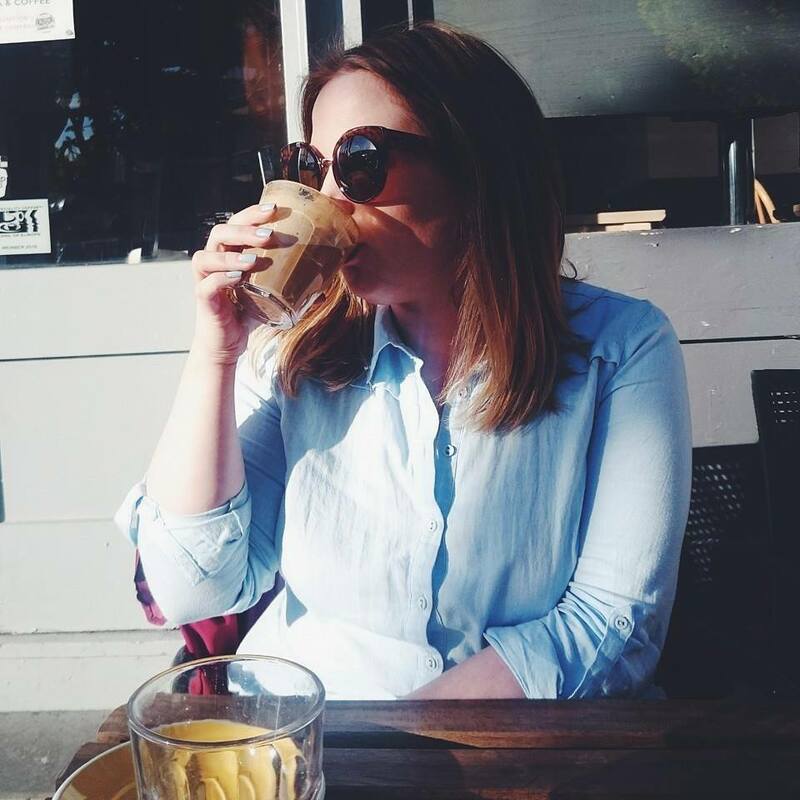 i defo need to try some pixi products! I have delicate dew and I adore it! Pixie highlighters are literally my faaave! What a lovely bundle to play make up with! Lucky girl! maybe I'm biased but I just love anything by Pixi! stunning! 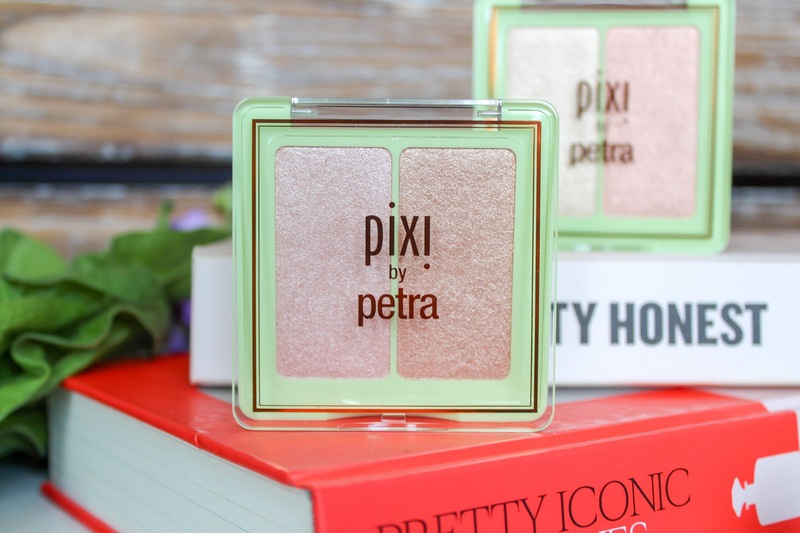 I"ve never tried any Pixi make up but these highlighters are amazing!